On behalf of the entire Holidaysafe team, I would just like to wish everyone a very Merry Christmas! Iceland – In Iceland, they have 13 different Santas called Yule Lads, which are troll-like creatures who come down from the mountains around Christmas time. They travel around the country leaving children presents or rotten vegetables – depending on their behaviour throughout the year. The best thing about the Yule Lads is their names, including such classics as Door Sniffer and Sausage Swiper. Mexico – If you plan a trip to Mexico over the festive season you may be able to take part in Festivals of the Radishes, where farmers carve vegetables into the shapes of humans to create a nativity scene. Ukraine – In the Ukraine they decorate their Christmas trees with spider webs, as legend says that a magical spider once visited a poor family and turned his web into gold and silver for them. 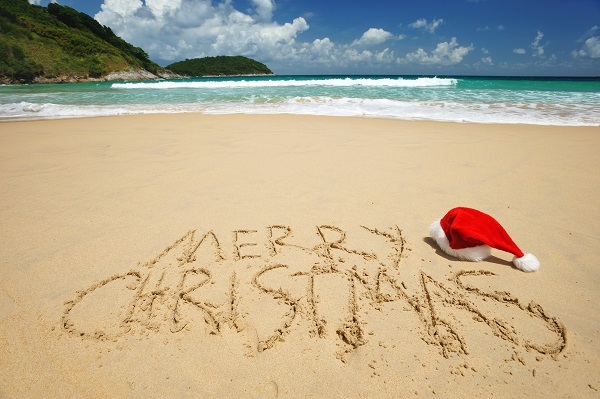 Australia –If you’re enjoying some winter sun this Christmas, you may be on a beach in Australia enjoying a barbeque rather than a three course sit down dinner. Legend says that Santa Clause swaps his reindeer for six white kangaroos when we travels over Oz. Spain – The people of Spain make a somewhat rude and inappropriate addition to their nativity scenes each year, by adding a figurine of a man defecating on the floor to the display. The figure could be a Shepard, a politician or even a famous footballer. Serbia – In Serbia, it is traditional for children to tie up their parents and demand presents in exchange for their freedom. The mother is usual ransomed two Sundays before Christmas day, and the Father the following week. Wherever you are in the world today, we hope you have a fantastic festive period.